Forest River No Boundaries Is Ready For Adventure! Brand new, lightweight and ready for off-road adventure, the Forest River No Boundaries Travel Trailer is the latest in cutting edge camper technology. Get ready for a new breed of adventure travel with this super cool and affordable new RV brand. 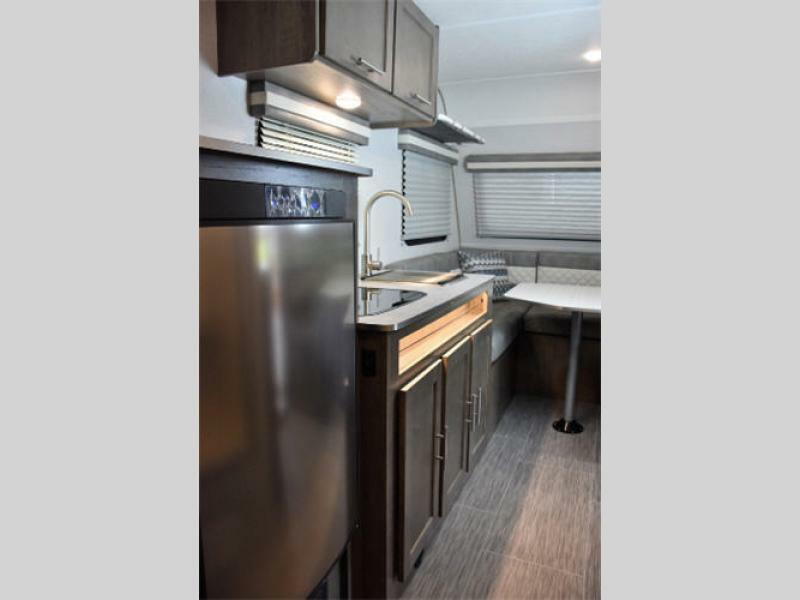 The No Bo RV for Sale at Bullyan RV was named Top RV Debut by RV Business and Best In Show by RV Pro in 2018 for good reason. This innovative, new lightweight travel trailer is packed with features ideal for outdoor adventure seekers. The Forest River No Boundaries is equipped with industry leading ground-clearance, larger diameter tires with off-road tread, and a nimble suspension system, which allows easier access to out of the way camping spots. This unique towable RV also comes with adaptable storage for kayaks, bikes, SUP’s, surfboards, skis, and fishing equipment. 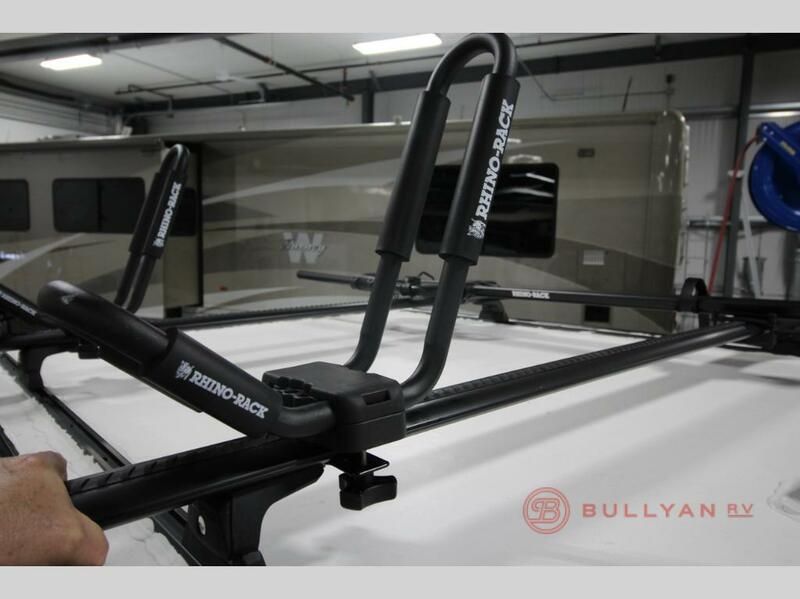 The Rhino Rack system provides safe and secure transport for your favorite outdoor gear. Inside, you will find plenty of storage space for food, clothes, and extra travel items. 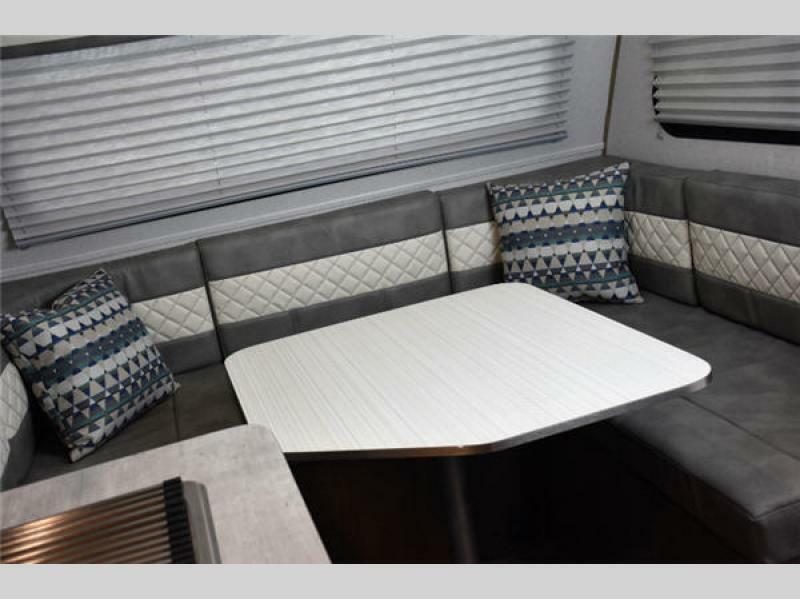 The dinette’s high performance vinyl seat cushions and backs are both comfortable and exceptionally durable. 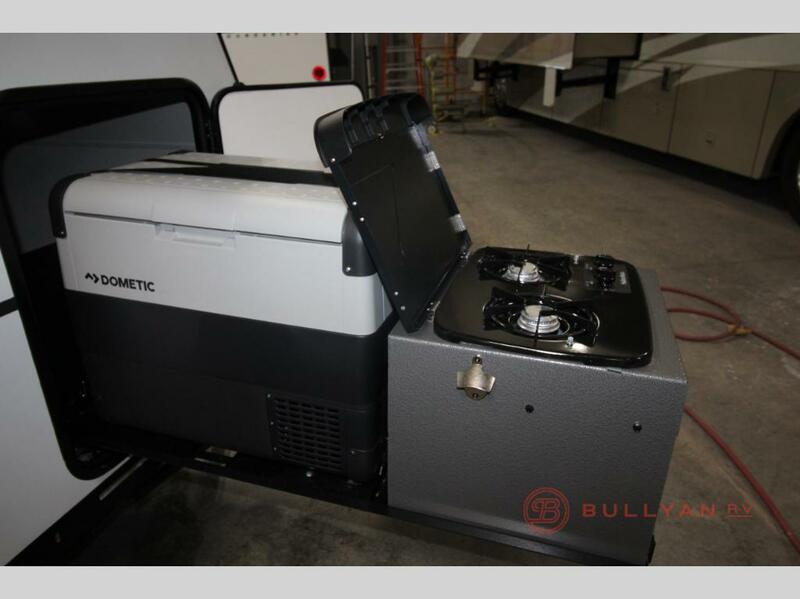 You will find three different No Boundaries RV Models available with weights ranging from 2,000 to 5,000 lbs. 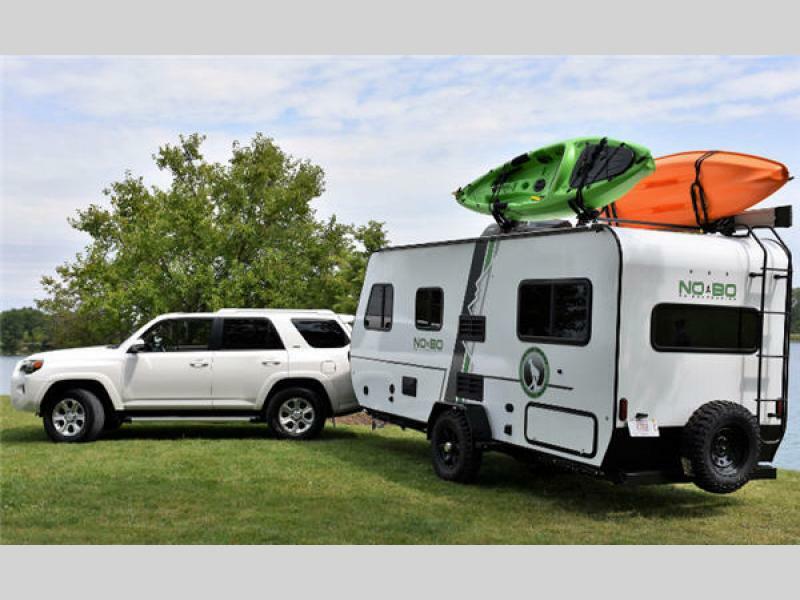 The No Bo lightweight camper is designed to be easily towed by both 4 and 6 cylinder vehicles. Unique exterior features such as the tempered seamless panoramic front window, fiberglass sidewalls, Rhino rack and exterior kitchen with cooler (depending on floorplan) really set this camper apart from others in it’s class. Call your friends, grab your gear and get ready to hit the road. Raging rivers, serene sunsets and rugged nature trails are waiting around the next bend. With the Forest River No Boundaries, you can experience the great outdoors with no compromises. 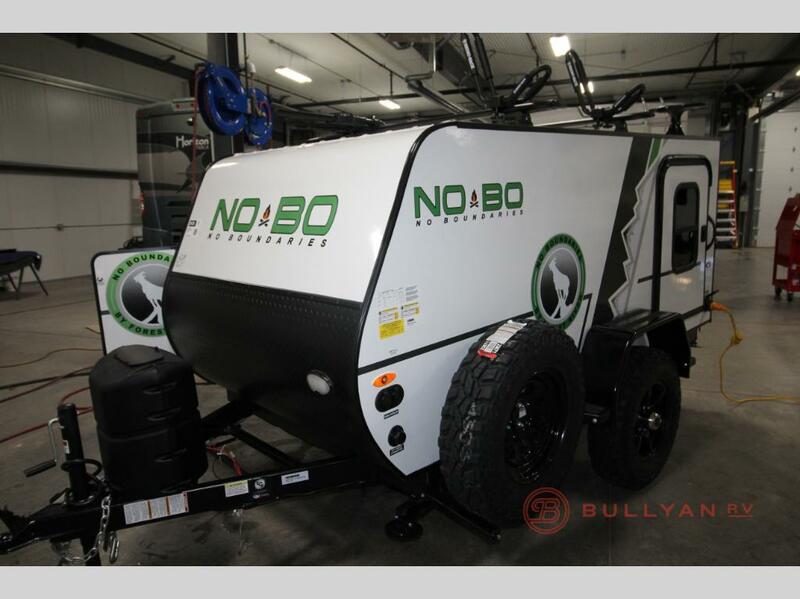 Contact Us at Bullyan RV and take a tour of the No Bo travel trailer today!